I genuinely liked this movie. It’s obviously dated, but for the most part I liked it. It felt extremely short, coming in at just passed one hour; I’m not used to that. And here we meet Lon Chaney Jr. who was one of the big names in Universal’s classic monster movies. He both reprised his role as the Wolfman in several other films, as well as played other classic monsters for the studio. In The Wolf Man, Larry Tolbert was a happy, seemingly care-free, guy who just wanted to get the girl and live his life before a curse and suspicion ruined everything for him. He comes back home to a quaint and prosperous town after his brother’s death to take over the family business with his father. The father-son relationship reminds me more of a boss-employee one, but Mr. Tolbert cares for Larry and just wants what’s best for him. What impressed me was how this was a comment on mental instability. “Why does everyone keep saying I’m the one who’s confused?” It’s a disease of the mind; there’s no such thing as a man who can turn into a wolf. None of the other monster movies (to my knowledge) are like that; saying it’s all in your head. Then again, none of the other monster movies have the protagonist as the creature. The 2010 movie definitely has a different tone to the whole story. In this version Lawrence, who is an actor, returns home to the dreariest of villages and an estranged father to investigate what happened to his brother. This movie is a lot darker both visually and story-wise. Unfortunately, if you’re paying attention to the clues, everything is foreshadowed. I already knew the twist going in, but I picked up on it all the same. This time around they were a little more heavy handed with the mental instability aspect. In the original version it was more subtle, but here Lawrence has a history of attending the mental asylum. This of course being linked to at a young age stumbling across the Wolfman having killed his mother. And then they take him back because they think he’s relapsed and is now killing people. The suspicion wasn’t done as well this time around. I feel as though we went from point A to point C without thoroughly hitting point B, which was the suspicion and reasoning behind the town’s actions. You can’t just have some random villager say the Tolbert’s are cursed, you need to make me believe that they all believe there’s something terribly wrong with that family. My only complaint was the plot hole that if Lawrence stumbled upon the Wolfman having just killed his mother, how would he have gotten away from the Wolfman? It must have been immediately after the father was bitten and he still had a shred of his human self inside. Lawrence’s Wolfman hesitated with Gwen by the river, but even then I felt the man was too far gone at that point. I think Gwen shared my thinking. Overall, it wasn’t bad, but it wasn’t my favorite either. 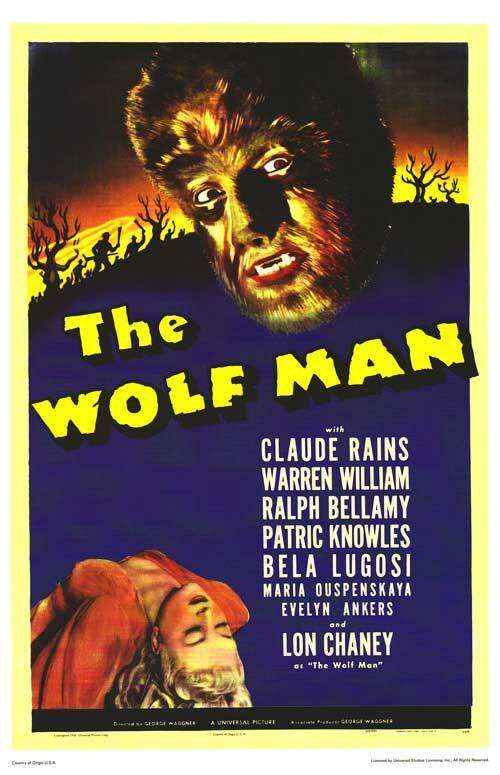 If I was going to watch The Wolfman again I’d probably go with the 1941 version, even if it is a little campy at times. 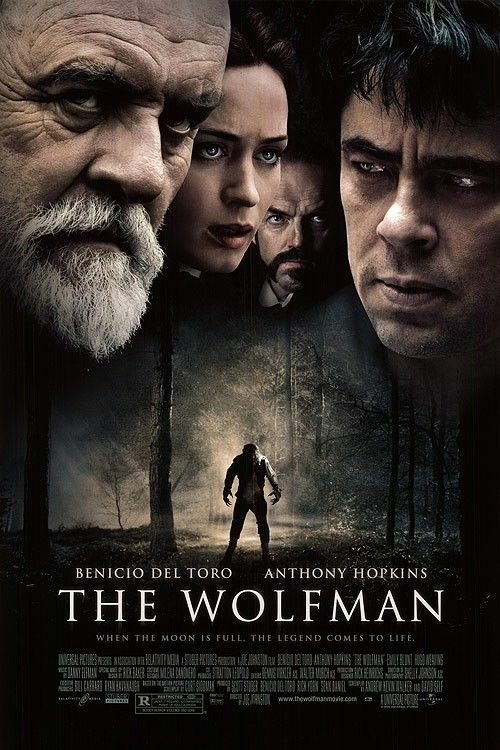 This entry was posted in black & white, horror, NR, R and tagged 1940s, 2010, Anthony Hopkins, Asa Butterfield, Benicio Del Toro, Emily Blunt, Hugo Weaving, Lon Chaney Jr, werewolves. Bookmark the permalink. This was a fantastic post! I never knew that The Wolfman contained such an interesting motif on insanity and how alienating it can be! I guess I only saw the film for face value as a dude dealing with being a werewolf. You may have just ignited my interest in this movie! Impressive work.